Delighted to see that very soon the UK Audio version of The Great Chocoplot will be released by Oakhill Publishing. 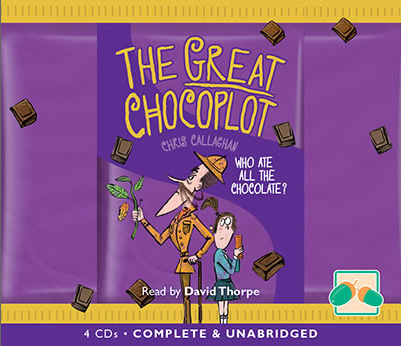 I haven’t got my hands (or ears) on a copy yet, but I can’t wait to hear how David Thorpe tackles some of the strange voices and accents! Also, the cover of the German hardback has been spotted on the Chicken House Germany website. I haven’t got a copy of that either yet, but I love the slight variation with the cover. Lalalimola’s fab illustrations are still there but the purple has been replaced with a bluey kind of colour (I’m a bit colour blind, so you’ll have to see for yourself!). 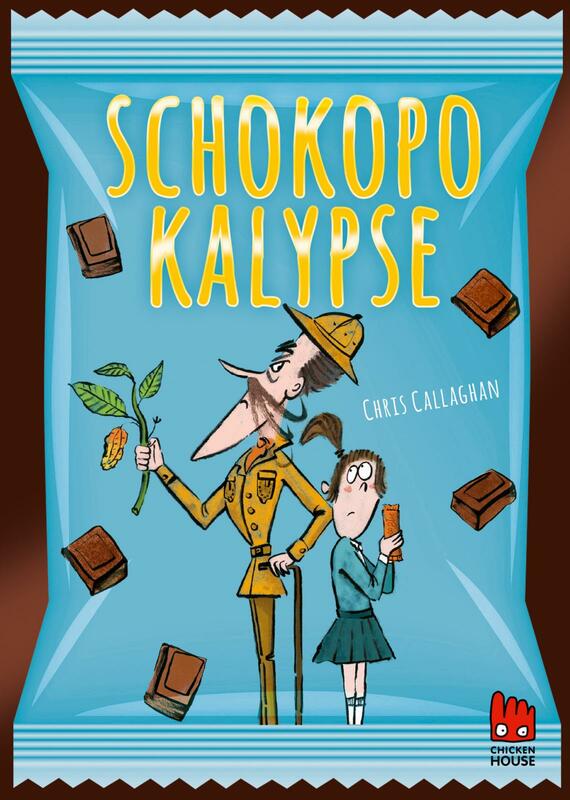 It will be called ‘Schokopokalypse’ which I am assuming means ‘Chocopocalypse’ and will be released in Germany on August 31st! !